As a warning to my future self? I'm starting to come out of a two day funk. Maybe a four day funk for those that had to put up with me, but a two day funk for me. Even chocolate didn't help. In fact, it just made me mad. 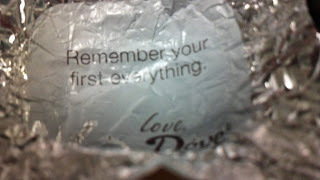 The Dove caramel filled chocolates have awful fortunes on them. The Dove milk chocolates say things like, "You are the star for which all nights await." Awesome. Whatever woman wrote that really knew what to say to a friend in a funk. an emergency room has billboards with sayings like that. But they are trying to be funny. "Temptation is fun...giving in is even better." 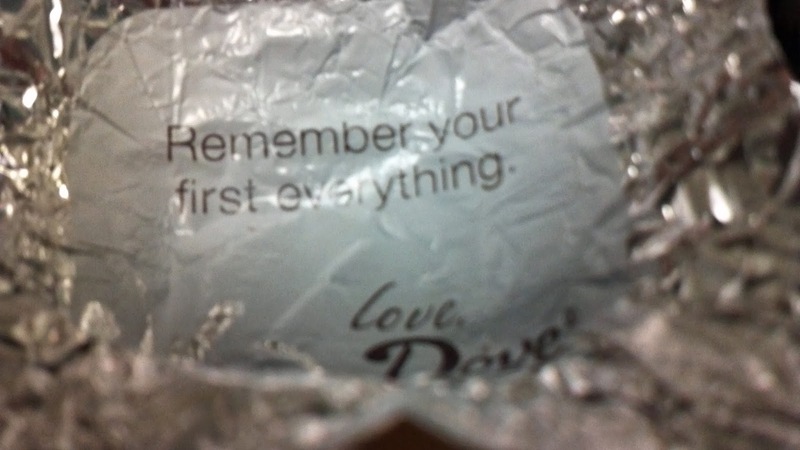 I'm sure this was supposed to apply to chocolate, but somehow the phrase has bonded with the memory of my friend Lauri's expression as she leaned over and told me about her husband's "broken vows." Give in to temptation? Never, ever, ever ends well. The VERY BEST you can hope for by giving in to temptation is to get fat. That's like making "Go ahead and call her" the marketing slogan for beer. Get this stupid advice out of my chocolate. Here's one I'd write: You CAN have it all -Buy chocolate and plant spinach. Or how about: You reap what you sow, you self-centered slacker. Hmmm...maybe I'm not coming out of my funk quite yet.